Do you want your upcoming Christmas season to be full of great memories, meaningful gift-giving, and fun family activities? 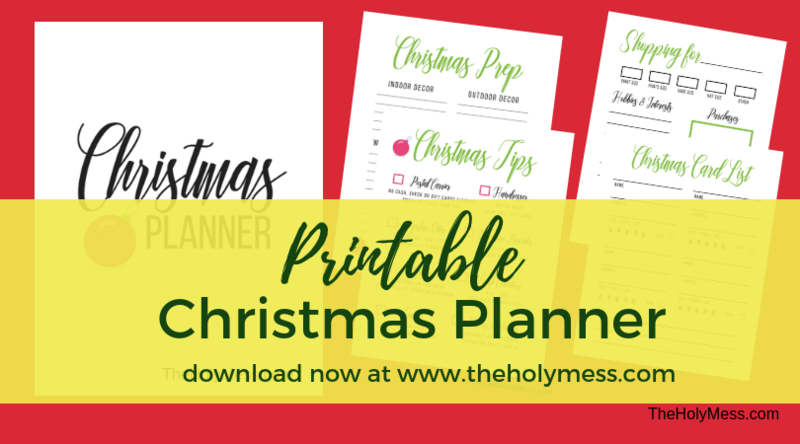 Use The Holy Mess Printable Christmas Planner to stay organized and on top of it all this holiday season. 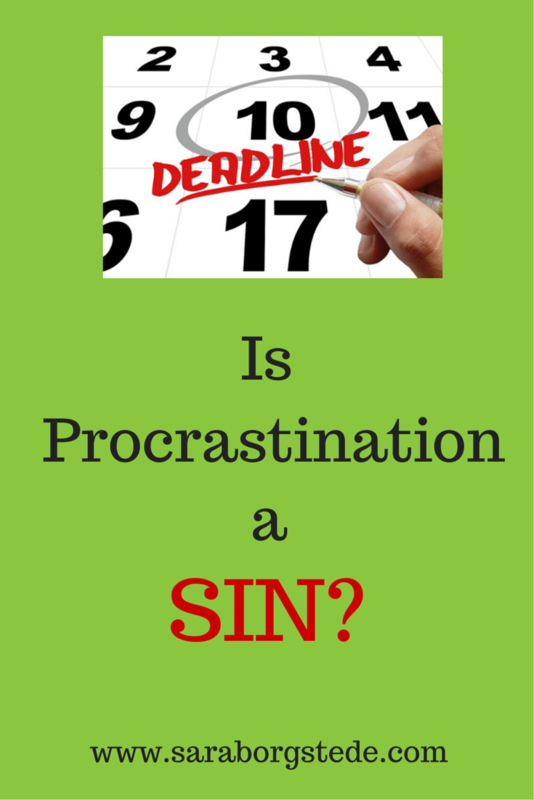 How many times have you rushed through the holiday season feeling like you barely have time to breathe? Make this year different by planning ahead and organizing everything you need in one location. 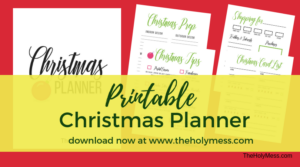 Update for Christmas, 2018: Check out the new and improved design of our printable Christmas planner!. Holiday Gift Ideas – Keep all your gift ideas in one location. 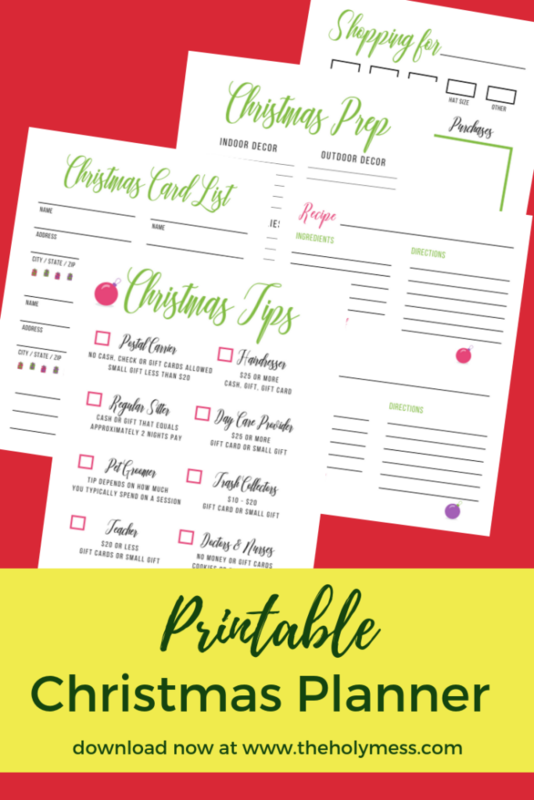 Christmas Card List – An ongoing list of cards you will send. Christmas Movie Check List – Classic Christmas movie to watch together as a family or while wrapping gifts. Holiday To-Do List – Get it done with a master plan. Christmas Planner Purchase Tracker – Don’t forget about gifts that are stuck in the closet when you use your purchase tracker. December Acts of Kindness – Discover the importance of giving back to others. 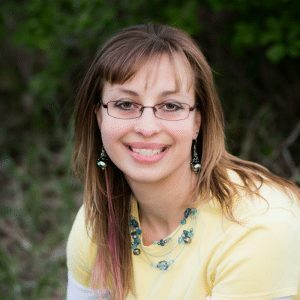 Potluck Dish Tags – Going to a holiday or family gathering? Make sure all your dishes get back to you. Christmas Cookie Exchange Share – Share your favorite recipe as part of a Christmas Cookie Exchange. 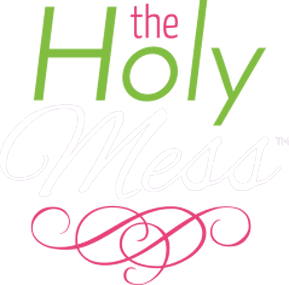 Be sure you also check out The Holy Mess Printable Thanksgiving planner. 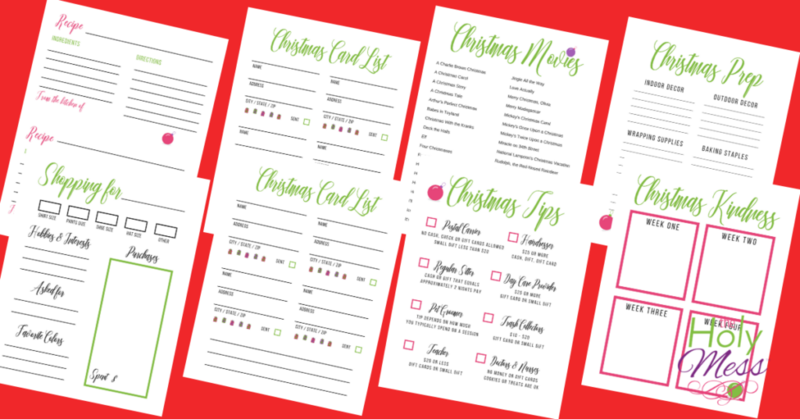 Download this beautiful Christmas planner and be organized this holiday season. 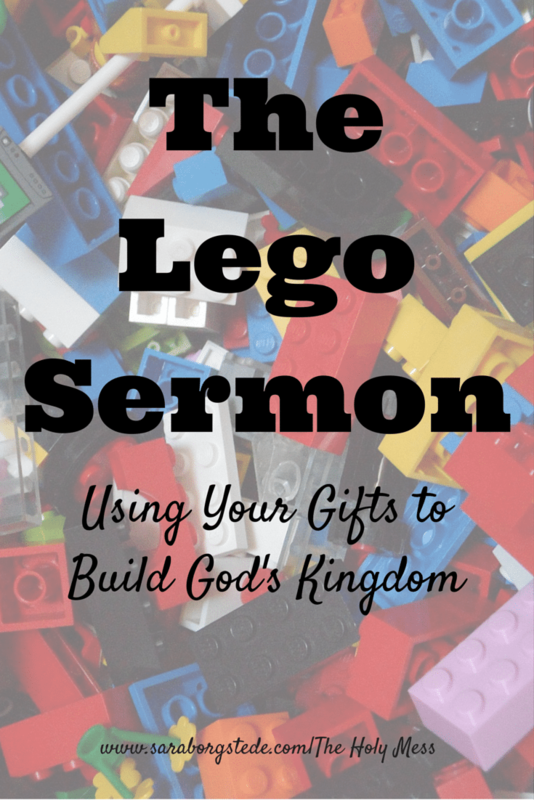 How do you stay organized for the holidays? Share a tip in the comments below.